With cars so spot-on perfect as the BMW 1 Series M Coupe you wouldn’t want to change a single thing in it. But when it comes to power, you cannot say no a 120 extra horses! That’s what TechTech has done to the car. 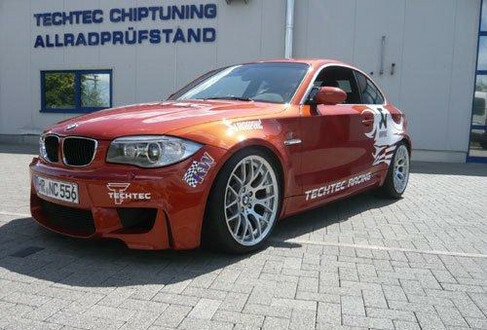 With some deep chip tuning and a set of Akrapovic exhausts, the tuner has increased the output of the 1M Coupe to 450 hp and 580 Nm of torque. They also offer 370 and 400 hp versions for those short on money. An uprated KW suspension system is also part of the pacakge.